Dribbble.com is my new favorite social network. It’s a place to show my work, get helpful critiques from fellow designers, and it has even landed my some quality projects! I have an invite up for grabs and I know there are some amazing designers reading Vectips, so here is your chance to win an invite. Dribbble is show and tell for designers, developers and other creatives. Share sneak peeks of your work as “shots” — small screenshots of the designs and applications you’re working on. Comment on this post and leave a link to your portfolio. My favorite portfolio will get the Dribbble invite. Contest begins on October 19, 2010 and ends on Tuesday October 26, 2010. The winner will be announced on Wednesday October 27, 2010. Please leave a valid email address so we can contact you. One winner will receive a Dribbble invite! I also suggest all you vector lovers to check out some of the tags from Dribble for some inspiration. What’s up to all, the contents existing at this website are actually remarkable for people knowledge, well, keep up the good work fellows. Hey, I know the deadline has already passed, but it’s always good to share your folio with people of similar interests. I’ve got a mixed bag of work, so it’d be great if anyone can take the time to have a quick look through. Cheers. I’d love a Dribbble invite. Would love to join your team on Dribbble. Would really like to add dribbble to my social networks! Fingers crossed & thanks for Dribbble post! I’d looove to Dribbble with likeminded creatiiives – hoook me up pleeease!!! I’d love an invite. Hope you like my Illustrator work. There’s really a lot of inspiration to be found on Dribbble… it really shows how fast a site can grow. Kind of like Behance did when they just started! Tu sitio es genial, que gusto que trates de ayudarnos así a ingresar a Dribbble. / Your site is great! I’m glad that you are trying to help us to join to Dribbble. Thanks for your Tuts, are too helpfully. wow, how many websites, is a little hard, but i hope win: http://www.ozonostudio.com sign me up!!! here is my portfolio website. this is going to be a hard one, theres a lot of good stuff here! Dribbble is also my new favourite muse / inspiration site. Hi there, this Dribble looks great. Hi! Thanks for the opportunity! For me, Dribbbbbbble is today THE best place to learn. ooh, scotty should win, I love his work! This stitch dribbble shot looks awesome. I don’t have an invite yet to dribble! Hook a brotha up! I know, it’s long, but it’s full of good stuff. Hoping for a dribbbbble invite to drool all over the place. Please get me into Dribbble !! I would looooove to win a dribbble invite. Would love the invite, thanks for the contest. Majority of stuff is typographic and vector based, but would love the chance to get some feedback on my work via Dribble. This is a fun idea. Thanks so much for considering me! The joy this would bring! 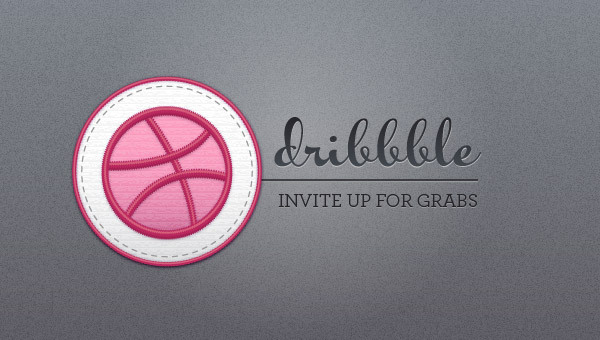 A chance to get an invite to Dribbble AND a chance to show your works to the Vectips community. Dribbble looks very intresting ! As you can see I have gone ALL OUT for my shot onto dribble! Looks like Dribble is a great place to get constructive feedback. I’ve selected a slew of work, from vector, photoshop and traditional media! That’s a blend on the cat’s hands. I think Dribbble could be just the thing to help me land a better job. Putting my work up and getting it critiqued is more helpful than anything. Thank you for giving a struggling Graphic Desinger the opportunity!